For most of us, the word Zambezi conjures up images of bygone adventurers returning from unspoilt wilderness with tales of derring-do. Thankfully, Zambia's most famous river remains much unchanged today, teeming with phenomenal wildlife and ripe for exploring. One of the best bases from which to experience the mighty Zambezi in all its glory is Sanctuary Sussi & Chuma operated by luxury boutique safari company, Sanctuary Retreats. Named after Dr David Livingstone's faithful friends Sussi and Chuma, the property is built on a dramatic bend of river on the edge of Zambia’s Mosi-Oa-Tunya National Park in one of the most beautiful parts of the Zambezi, amidst Jackalberry trees and Phoenix palms, providing unrivalled views and exclusivity. Reopening midway through last year after an extensive refurbishment, the lodge’s twelve luxurious Sussi treehouses, linked by elevated wooden walkways, offer a sophisticated take on modern safari life. Each one features stylish interiors such as local artworks, handcrafted rugs, and easy chairs dressed in a map print evoking the intrepid trails of the Lodge’s erstwhile namesakes – Sussi and Chuma, plus plenty of indulgent touches including freestanding baths, a fully stocked minibar and gym boxes for in-room workouts. Adding to the feeling of exclusivity, the riverfront terrace of each treehouse has also been redesigned to deliver guests with even greater privacy and shade. Sanctuary Sussi & Chuma also offers two private houses, each with two bedrooms, its own dining area and deck with plunge pools, as well as a private chef and dedicated staff – perfect for families, multigenerational travellers, or those seeking the ultimate exclusive safari getaway. Of course, the biggest game in town is the world-famous Victoria Falls just a few kilometres downstream. To appreciate its full impact, the best time to visit is from February to June, directly after the region’s summer rains, when the Zambezi River is in full flood and you’ll see the world’s largest sheet of falling water flowing at its greatest volume. 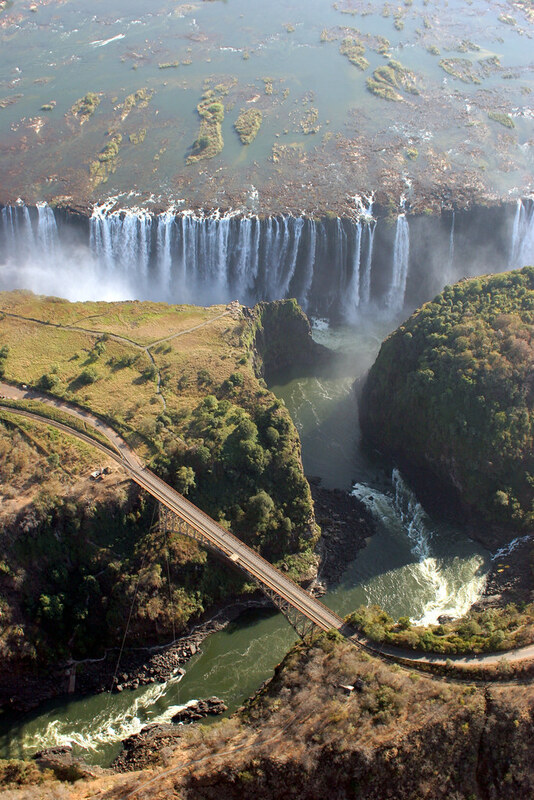 First described to Europe by Livingstone and known locally as Mosi-oa-Tunya, or the Smoke that Thunders, for most visitors the Falls can be a sensory overload. The constant roar is accompanied by a cloud of brilliant spray, where the mile-wide Upper Zambezi falls 300 feet into the Lower Zambezi in an unforgettable natural showstopper. The Falls are a spectacular sight from both the Zambian and Zimbabwean sides, as the water pours over the edge, with rainbows constantly forming and collapsing in the tropical sunlight. Sussi & Chuma offers guests walking tours of the Falls through ebony groves and mopane forest bordering the River, but for a truly breath-taking bird's eye view, try a helicopter flight over the top. Of course, the Zambezi has much to offer aside from Victoria Falls. A sunset cruise is a great way to spend a few hours on the river before drifting back to the lodge, a warm shower and delicious dinner. Sanctuary's boats are specially designed, with guides taking the boat through a series of Grade 2 rapids before finding a spot to beach for a break and a sunset cocktail. 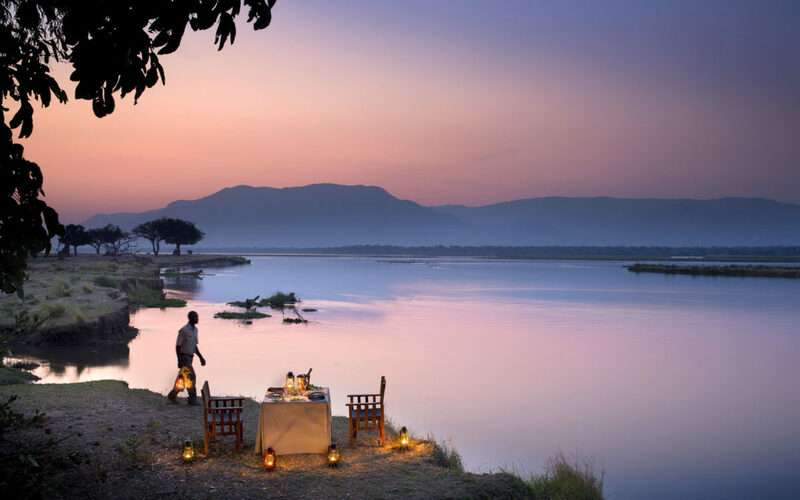 The combination of Zambezi spray on your face followed by a delicious cocktail while watching the sunset over the majestic Zambezi River makes for an unforgettable experience. Sanctuary Sussi & Chuma also offers up plenty of safari drives and walking safari opportunities in the Mosi-oa-Tunya National Park, where guests can follow in the footsteps of Livingstone – literally, as he first made his way across the ridge and beheld the Smoke that Thunders. As well as elephant, impala, giraffe, buffalo, hippo, crocodile, zebra in large numbers and an exciting array of birds, guests may even be lucky enough to enjoy a rare sighting of the African Wild Dog that occasionally passes through the park.